We had a great time celebrating games and gaming with all the people at Dragonmeet. The change of setting and location didn’t seem to dampen spirits or attendance. We worked all day long, from setup at 7AM through to close at around 6.30PM. And then Paul ran a game in the evening! We loved meeting you all. 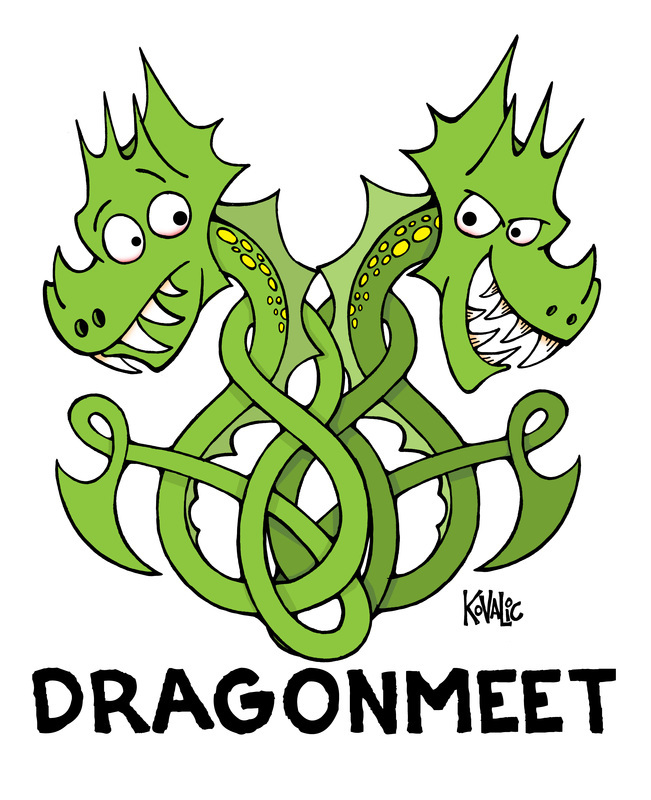 Dragonmeet always seems to provide the best atmosphere for making connections, whether reacquainting with old friends or meeting virtual contacts for the first time. 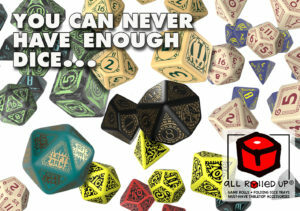 We love seeing our customer face-to-face, getting a chance to see All Rolled Up game rolls and dice trays scattered around the gaming tables, and about our plans for the coming year. Dragonmeet also meant we prepared a LOT of new stock. The busy day means a lot of that stock has already sold out, but what remains you can now access through the web store. This included all our ever-popular oilskin ARU – except Van Helsing II, which sold out yesterday! As ever, we can turn around and send out In Stock items in short order, following payment. 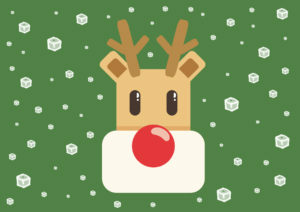 we will not have the chance to get any Made to Order out before Christmas, no matter what. Oh, and this was a neat addition to the end of day auction, from the pen of guest John Kovalic.